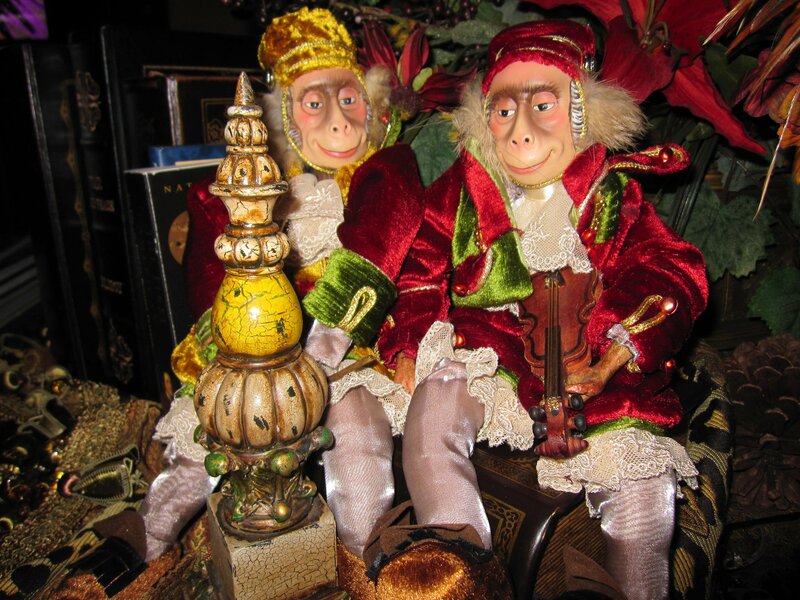 I’d like to formally introduce Lucky and Nicco – my Christmas Monkeys. Taken on the Sunday that we moved Madison to her OU Sorority House. 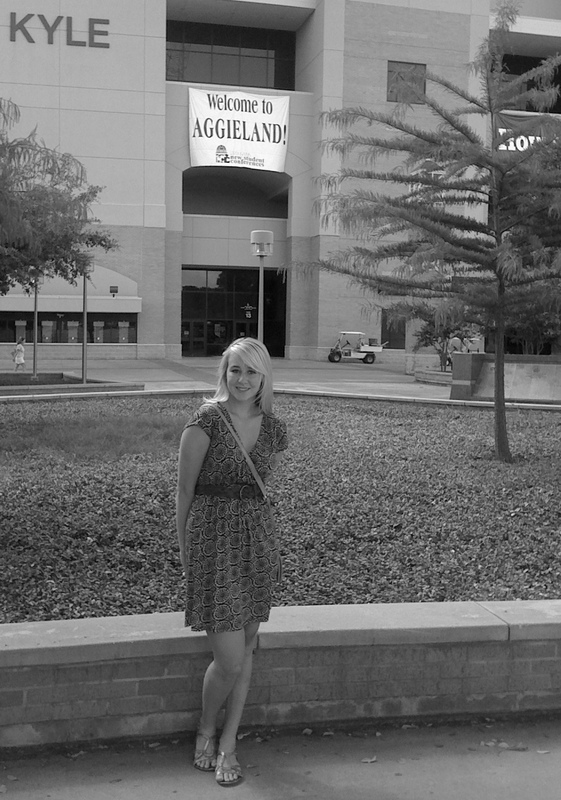 Madison’s dream was to attend engineering school at Mark’s alma mater, Texas A&M. Alas, she was turned down because she was not in the top 10% of her rather large high school’s graduating class (she was at 13% with non-stop highly competitive soccer level 24/7) and the engineering school is the first to fill up. Very hard to get into. So, she opted to attend the same school her big sister attended and had a great experience while at the University of Oklahoma. OU is a Greek school, so Madison joined a sorority, something she would not typically do and decided to just try and reapply to A&M the next year. She was doing well at OU, so well that a prof told her she didn’t make sense, as she was: Blonde, In a Sorority, Had Social skills and Charm – yet she rocked Physics like nobody’s business. I congratulated her but also cautiously advised her not to go to his office if he asks her to come over because he wants to “discuss a paper”. LOL! As soon as she could, at the beginning of her Freshmen Spring semester, she applied to Texas A&M……………………………CRICKETS……………………….Not a word or letter for weeks………………………she made multiple phone calls and got lost in the maze of “call centers” over and over again………………..Not even a rejection letter…………………….. She was clearly heart broken, but resigned to stay at OU. “MOM!!!! THEY ARE MAKING ME DO CHEERS AND SING!!!!!!!!! !” Hahahaha!! Within in 24 hours, Madison received a phone call from Texas A&M apologizing for the mix up and asking if would she mind attending Texas A&M after all. They even humbly talked to me and admitted that their was a disconnect on their side (at the time) to work in transfer students. A sign for any good person or organization I think, to admit when they make mistakes and work to improve. So, we went back 3 days after moving her into OU and moved her out! The sorority sisters were all so sweet to her and even helped her move out. They were probably secretly glad that the “SORORITY GLEE BUZZ KILLER” was going away before Rush hit. Hahaha! 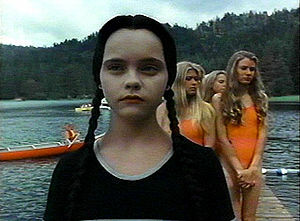 I can’t help but get this image of Wednesday Addams from the Addam’s Farmily working Rush – which Madison is clearly not like, but you get my drift. Gotta laugh looking back on it all! 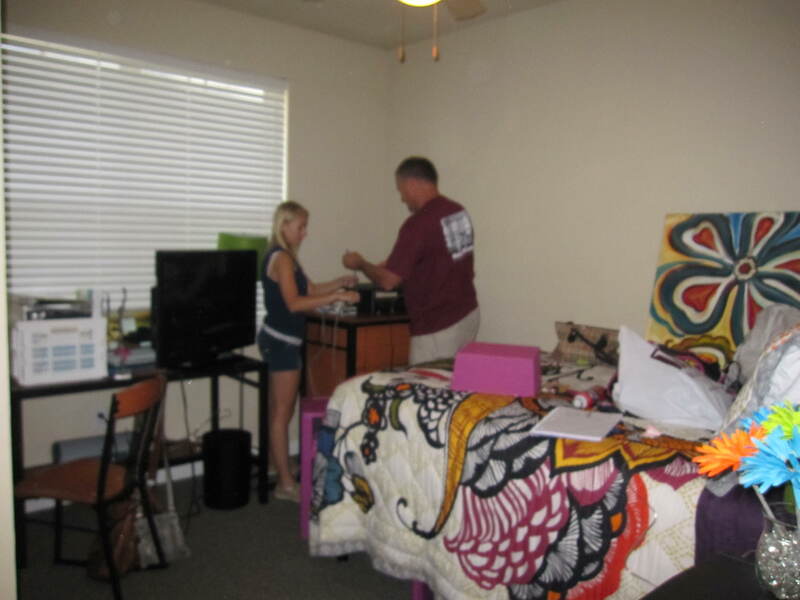 Thursday – Travel (3 1/3 hours one-way) to Texas A&M to: Meet with the registrars office —– Find an apartment that needed a roomate—– Get her a schedule worked out even though the classes were all full (they just worked her as best they could) —– Get her Books and supplies —– all in 1 to 2 days time Because school starts THE FOLLOWING MONDAY!! What did I learn from this? Needless to say it was rather stressful, but it was a positive stressor. I was so happy for her that she was getting her dream. So thankful I wasn’t working a full-time job anymore and could help her navigate through it all as calmly as we could. Yes, this may all be last minute and messy, but it will all get done. It always does. Taken on the Hectic – Let’s go get this all done day! Now her 5th year Senior year, the rest is history. Madison ’til this day says she is so glad I was a Momma Bear on this one and butted in. And, I did email the editors. I thanked them for helping out even though that was not my intention and asked them to put us back on their mailing lists. We sat down with each of our daughters when they turned 16 during their Sophomore year of high school. We had a calm discussion about what they felt they spent on average throughout an entire year (holidays included) going out with friends to movies, gas, clothes, you name it. We’d come up with an amount and then we placed a set amount in their checking account on auto-pay on the 1st and 15th of each month. The amount was not generous, but it was adequate. During this time, we taught them how a debit card works, how to balance a checkbook, etc. Our oldest daughter (now age 29) ended up buying a pair of Doc Martens with her very first allowance when she was 16 and found herself asking me for money to go to the movies the following weekend. Saying sorry and not giving her more money was hard to do, but it was important that she learn. Needless to say, she never did that again. As time and grades would allow, the girls both started working a fun job that they liked to earn extra money. Over time, they became proud to say that they actually paid for Mom/Dad’s gift themselves or were able to buy a few more of those designer jeans or whatever because they contributed to the ability to do so and the satisfaction that comes with it. With our youngest daughter, we immediately also set up for her to transfer $25 from her own checking into her own regular savings account on the 1st and the 15th of each month via auto-transfer. 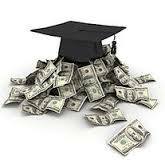 It may not seem like much but, $650 a year add ups for anyone much less a teenage. We told her not to spend it as if you dip into savings too much, the bank will make you pay a penalty. She didn’t touch it until late in her Freshman year of college when she need a deposit ASAP for her new apartment that she was moving into and she needed use it to bridge until our transfer to her checking account came through. She did put the money back into the account after we reimbursed her. The summer before her Freshman year, and subsequent summers after, she worked at the Buckle and would put extra money away in her savings. During the Holidays, Buckle would call her to ask if she could help out again and over time, she just automatically, on her own would put money away for Spring Break fun, etc. 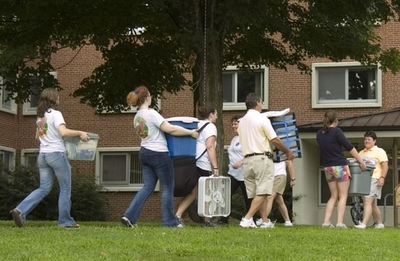 The Fall of her Sophomore year in College, she proudly told us not to worry about buying her college books and supplies anymore, as she was able to do that herself. 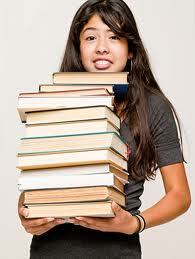 She has paid for her books for all of her Sophomore, Junior, Senior and now Super Senior year. This summer as a 5th year Senior she got a summer internship in her industry. She found herself earning $32 an hour in her full-time job, summer internship as a Mechanical Engineer. She was astounded at how much money she was bringing in on her own and approached us to just stop her allowance completely, as she had this easily on her own for the rest of the entire Sept. to May school year.